Pearly mussels (Unionoidea) live in lakes, rivers, and streams around the world. These bivalves play important roles in freshwater ecosystems and were once both culturally and economically valuable as sources of food, pearls, and mother-of-pearl. Today, however, hundreds of species of these mussels are extinct or endangered. David L. Strayer provides a critical synthesis of the factors that control the distribution and abundance of pearly mussels. Using empirical analyses and models, he assesses the effects of dispersal, habitat quality, availability of fish hosts, adequate food, predators, and parasites. He also addresses conservation issues that apply to other inhabitants of fresh waters around the globe and other pressing issues in contemporary ecology. 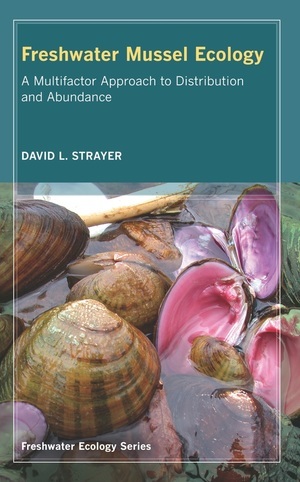 David L. Strayer is Senior Scientist at the Institute of Ecosystem Studies and author of Pearly Mussels of New York State, among other books. 10. Is a Comprehensive Model Possible?